This is a natural way of organizing website architecture, adding structure, and making your website easy to browse. The average website has one home page and then several other pages that link from it, such as the About page or service pages. However, these internal links are not enough. For maximum results, other pages should be included in the strategy as well. Why are internal links effective? Internal links are essential for website navigation. They help visitors find information easily, go from one page to another in a logical way and see more of what your business has to offer. Google uses internal links to discover new pages. When “crawling” the Web, Google bots follow links from page to page. This means that the more your links are interwoven, the faster Google discovers and indexes them. Internal links increase your ranking potential by distributing the strength of the site to internal pages. Internal links boost page views. Because readers are encouraged to go from one page to another, they visit more pages, spend more time on the website, leading to a lower bounce rate and even increased sales. For old content: just because you have old blogs posts, that doesn’t mean they should be forgotten. On the contrary, the ones that are still relevant deserve to be revamped. Go through your archive and see if you can add a few internal links in them. There is no fixed number of links that Google recommends and it also depends on the number of links you have in your header and sidebar. 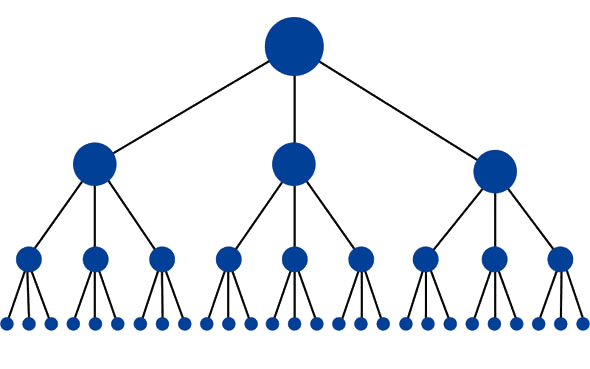 On average, a 1000-word article can have about 3 or 4 internal links. While you are adding links to relevant blog posts and/or landing pages, you might also want to revisit the old content and update it. This is actually a great strategy to refresh old content and get a surge in page views. Basically, when readers follow your internal links, this shows Google that your old content is still relevant. Don’t just slam the links there without any explanation; add a few phrases or paragraphs around them and extend the word count, adding new information. For example, if you posted an online marketing guide in 2015, you can include internal links, include new information and add something like (2018 update) in the title. For new content: whenever you are posting new content on your website, be in a landing page or in blog posts, link to several relevant pages. 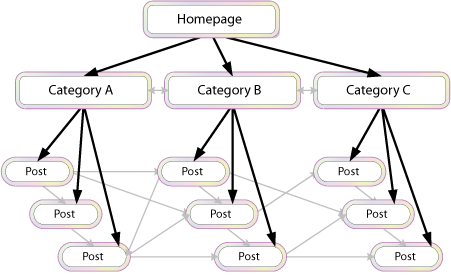 Ideally, you should organize your content around topic clusters, so that there is a connection between the new content piece and the pages you are linking to. For example, if you run an online clothing store and you’re writing a blog post about autumn fashion trends, then you can link to other articles about boots, coats, sweaters, as well as their respective categories/products in your store. However, linking to articles about summer dresses and sandals is irrelevant and links of that type add no value. When deciding what pages to link to and from, keep in mind that your website has a certain hierarchy. Use a website analysis tool to determine what your highest ranking pages are and link from those as much as possible, because they carry the most weight. High converting pages – Do you have one or more pages on your website that have a high conversion rate? Then try to include internal links to them, because this will increase the number of visitors those pages get. High converting pages are pages that turn site visitors into paying customers by attracting them with persuasive call-to-action statements, headlines that grab the reader’s attention and eye-catching graphics. In general, these pages explain the benefits of using your product or service and give testimonials as an example. Deep pages – in internal link-building, the deeper the target link is, the better. A deep page is one that isn’t linked to in the homepage header, such as an About page or a main service. One of the biggest mistakes that webmasters make in link building is focusing too much on links to the home page. This also applies for internal links. A link to the homepage doesn’t help the reader, because the homepage is the easiest to find and besides, you have enough links pointing to your homepage already. The same can be said for the About or Contact Us pages. adding internal links to them is not a good strategy and you should be focusing on deeper links instead. If you know a thing or two about link building, then you probably are familiar by now with the importance of anchor texts. However, anchor texts don’t just matter in offsite SEO. They also matter when adding internal links. Getting more backlinks to your website plays an essential role in having your site indexed and improving your overall SEO score. is a good example of how to choose an anchor text. You can even place a hyperlink on an entire sentence if you like, but try not to do that for paragraphs, simply because it doesn’t look well, it will make the page seem very crowded and it will bother the reader. While the anchor text may be important to define what is inside the page, you shouldn’t as an opportunity to abuse a certain keyword. Keyword stuffing should be avoided at all costs, because it’s an outdated and overused practice that can hurt your website. Pro tip: don’t add hyperlinks on images. This is an old SEO practice that now brings no benefit to your website. First of all, readers rarely think of clicking on images and secondly, image hyperlinks aren’t effective SEO-wise. To make the most out of internal links, you also need to consider their placement. As always, the most convenient solution isn’t necessarily the best one. If you add a phrase like “And if you want to read another article on this topic, click here” at the end of the article, its neither convincing for the reader, nor preferred by search engines. First of all, a link in the main page body, preferably in the top half, is more valuable than a link in the lower half or in the footer (in fact, footer links now officially no longer work), so you should try to insert your link as high as possible. Secondly, the link must be added somewhere where it makes sense for the reader and doesn’t look out of context. Google also considers the context around the anchor text, so it’ not a good idea to pair two topics that make no logical sense. When it comes to sites that have a blog section, one good strategy is to link to popular posts and recent posts in the side bar. Should I go for dofollow or nofollow links? Dofollow links are the best option recommended in this case. 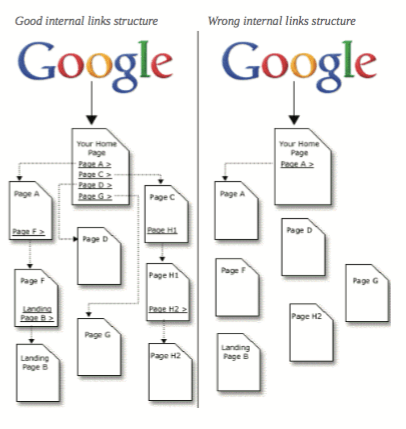 That is the very idea of internal links: to encourage Google to crawl your pages. The only situations when adding the nofollow tag is acceptable is when you are linking to a page that’s relevant in that context, but you don’t want Google to index it. This can be a technical page, a documentation page or a user survey. However, many SEOs say that you shouldn’t be adding nofollow tags at all and you should try to squeeze as much link juice as possible from your site. Should internal links open in a new tab or same tab? This is mostly a matter of preference and doesn’t impact the value of the internal link in any way. It all depends on how you want the reader to access the link. For example, you can have the internal links open in the same tab and only set the external links to open in a new tab. This way, the reader stays on your website and can see external links in an organized way. 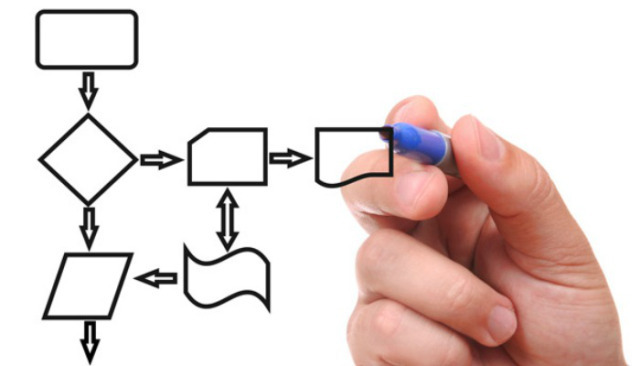 We can’t overemphasize the importance of adding only relevant internal links. Instead of placing a hyperlink to a page that has nothing to do with the topic of your current page, it’s better to not place it at all. There may be no penalties for this now, but, as Google algorithms constantly evolve, maybe in the near future there may be – and you don’t want to be stuck checking hundreds of blog posts for irrelevant links. Also, don’t forget that irrelevant links are less likely to be clicked on; if the reader doesn’t feel that they have something to learn from them, they will not click on it. Whether you choose your links alone or hire SEO services, keep in mind one key aspect: user experience. As important as it might be to get link juice, the experience people have while browsing your website primes above all. Don’t add a lot of links just for the sake of them being there, because it can interfere with user experience and, instead of reading the page from top to bottom and clicking on the links, visitors will close the tab. If you wrote a really long, extensive article with a lot of technical terms that require further reading, but you’re afraid that the reader will be overwhelmed by all the anchor texts, in that case it’s acceptable to add them at the bottom, in an academic style similar to Wikipedia’s. You can’t enjoy the benefits of internal links if you don’t have any pages to link to. This is why you should have a solid content marketing strategy in place and pay a lot of attention to your blog. Publish one blog post per week and revisit old posts to see if you can enrich them with relevant internal links. Bounce Rate: how many users leave your website immediately, without taking any action. If you notice an increase in the number of sessions, but the average session duration time is dropping and the bounce rate is higher, this points to a problem with content quality or a poorly implemented internal linking system. 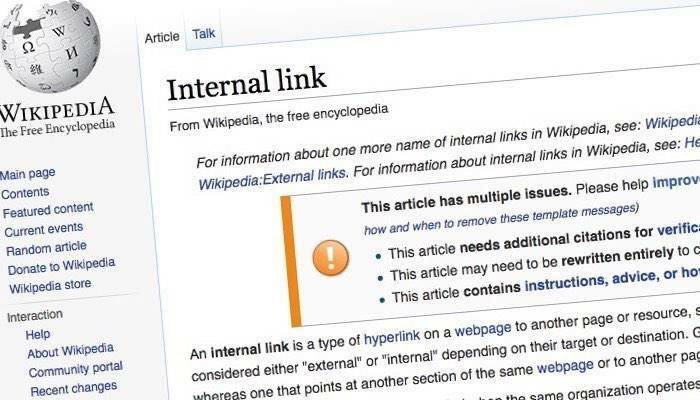 Can internal links damage your SEO? In normal situations, no. Internal links are an easy and effective way of improving your SEO, BUT, like any SEO practice, there is also the opposite of the coin, meaning that they can be harmful if you do not understand how to use them. For example, if you abuse them and insert dozens of irrelevant anchor texts in one short article or if you use spammy anchor texts, then yes, this can bring you a penalty. Also, you should never generate artificial pages through irrelevant tags. Internal links are some of the simplest, yet most effective things you can do for your website. As long as you always keep user experience in mind and add internal links in relevant articles, not only will you see a rise in website traffic, but also consolidate your overall SEO strategy and even increase your rankings in the long run.